This model comes packed with a sonic electric toothbrush and a set of 4 interchangeable brush heads. In a combo with a flosser, it will make your oral care complete bringing it to a professional level. The unit might seem a bit bulky. The WP-950 is a Waterpik complete care system that will become a perfect all-in-one solution for the whole family. Fitted with a number of attachments tips and 10 pressure settings, it will help you remove plaque, gently massage your gums, and prevent pathogenic bacteria growth making your daily dental routine times easier and more efficient. A non-contact magnetic charger is simply attached to the irrigator body ensuring easy operation and quick charging. It will take only 4 hours to get a full battery charge and provide enough power for the unit to last for about 1 week under regular use. A plastic case for tips looks somewhat flimsy. The Waterpik WP-560 is created with portability in mind. It boasts ergonomic cordless design and compact size that makes suitable for trips and journeys allowing you to maintain high oral hygiene anywhere you are. 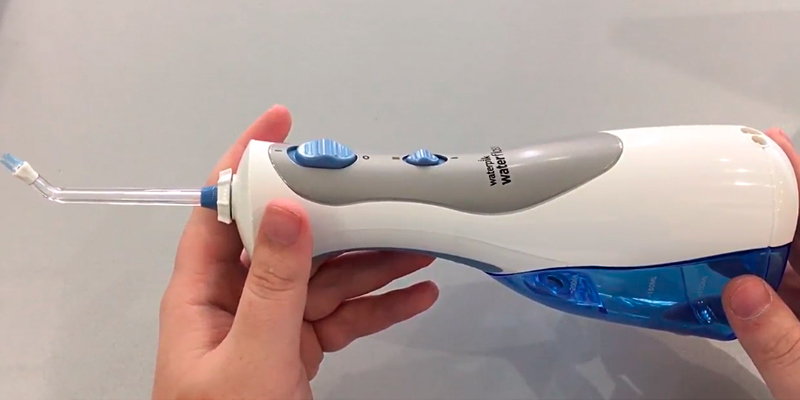 Buying the Waterpik WP-560, you get the portability and convenience of battery-powered flossers paired with the efficiency of corded models. The irrigator set has a full kit of attachment tips that in addition to a standard jet tip includes a tongue cleaner and 4 special tips for cleaning gum pockets and different kinds of orthodontic hardware. A UK plug adapter is needed. Need an affordable oral hygiene solution which you could use both for treatment purposes and for prophylactic use? The Waterpik WP-120 is the right option to go for. At a fraction of the cost, it uses the cleaning technology of premium class flossers and features a variety of cleaning options to make your dental care complete. The Waterpik WP-660 is distinguished by 2 cleaning modes. In a floss mode, the unit will generate a thin pressurized water jet while in a pulse mode the jet will be combined with pulsations. Such optimised cleaning technology will enhance your oral hygiene efficiency by times. Fitted with 7 interchangeable tips and a timer feature, this professional Waterpik Ultra water flosser will come in useful for any big family with kids. Make flossing a part of your morning routine and maintain your gums and teeth healthy. The flosser is also available in black colour. Despite its cordless design, the WP-450 stands out for an impressively powerful performance generating 1450 pulsations per minute at a water jet pressure varying from 45 to 75 PSI that will let you quickly remove all food debris and bacteria even from hard-to-reach areas. There is no charging indicator. 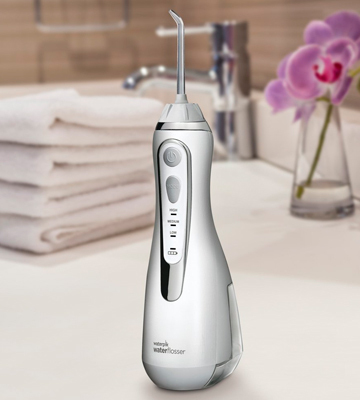 Featuring a cordless design and fitted with all the necessary tips to maintain overall oral health, a rechargeable Waterpik WP-450 water flosser will become your reliable travel companion. Under daily use, a single battery charge will last for a week. 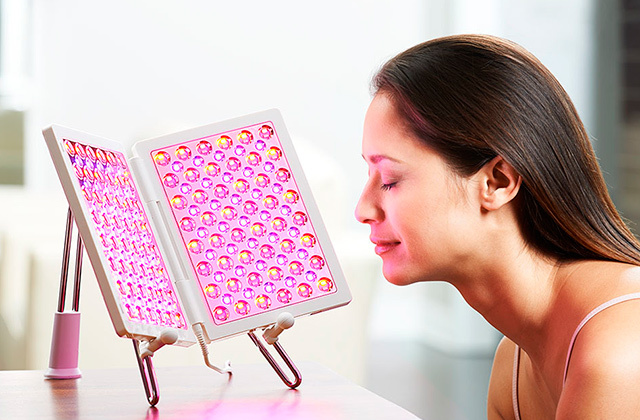 You can also opt for a model in black colour or a battery-operated unit. Being a true leader in oral health care products, Waterpik created the first ever oral irrigator over 60 years ago. The interesting thing is, most modern models of flossers are still based on the same operation principle and resemble the first irrigator by design. However, because manufacturers always strive to improve the products that already exist, make them more useful and hence more appealing to consumers new refined models emerge. That is exactly how the high-end Waterpik complete care systems were introduced to the market. 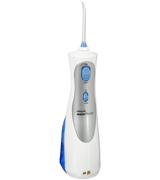 The WP-950 is the most recent Waterpik electric flosser which we've decided to bring first on review. It’s not a secret that teeth brushing alone is not efficient and should be preceded by flossing to keep teeth and gums healthy. With this in mind, the WP-950 smartly incorporates a highly efficient water flosser with an advanced Sonic toothbrush technology for a complete oral care. 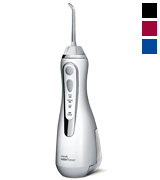 The WP-950 is a countertop model with a corded flosser and a cordless electric toothbrush. 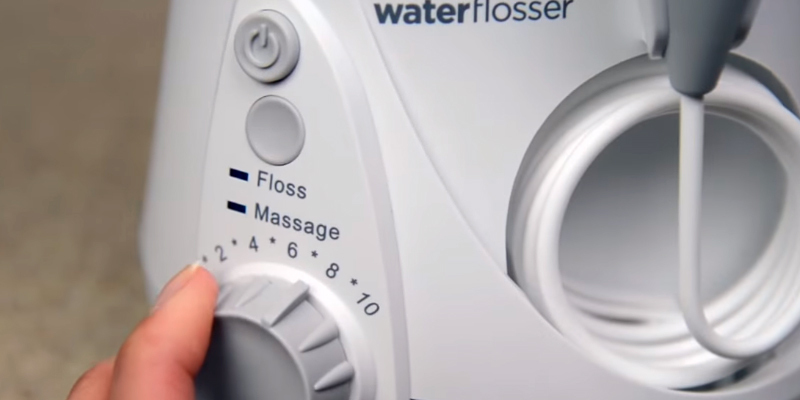 The flosser boasts 10 pressure settings from 10 to 100 PSI and comes complete with a 700-ml water tank ensuring up to 90 seconds of continuous use. Besides, the package includes 5 Waterpik flossing tips for quick plaque and debris removal, gum treatment, and dental work treatment. 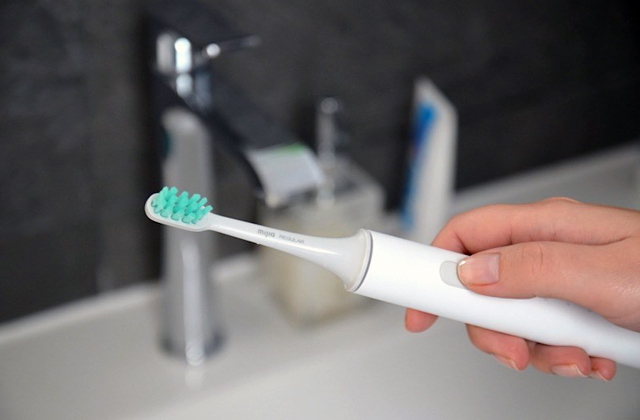 The toothbrush features two speeds and is fitted with 2 standard and 2 compact interchangeable heads, which makes it a perfect match for the whole family use. 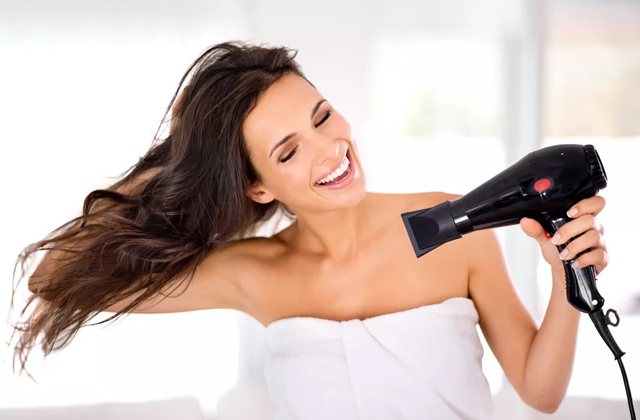 On top of that, the brush is water-resistant which means you can safely use it even when taking a shower without worrying that it might get damaged. In the package, you will also find a hard-shell toothbrush case for storing the brush and transporting it. Speaking of the unit overall design, it is pretty compact and won’t take much space on a bathroom shelf. An inductive toothbrush charger is built in the unit base and doubles as a toothbrush holder. Meanwhile, all replacement tips and heads can be conveniently stored in the integrated head storage. With the WP-950, you will get two high-quality dental care products in one device that will do their job extremely good and help you keep your smile healthy day after day. Sonic technology stands for high vibrational speed which commonly reaches up to 31,000 strokes per minute, quite impressive especially given the fact that most electric toothbrushes do not generate more than 7500 strokes per minute on average. Due to such a powerful vibration level, sonic toothbrushes combine conventional tooth scrubbing with a cleaning action which allows disrupting the plaque and preventing dental scale build-up. 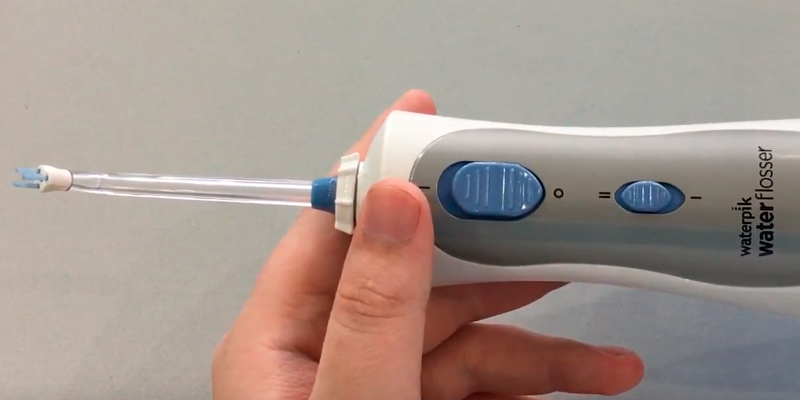 The Waterpik WP-950 sonic toothbrush delivers 30,500 strokes per minute, and that's about 25% faster the bristle speed than many other sonic toothbrushes produce. 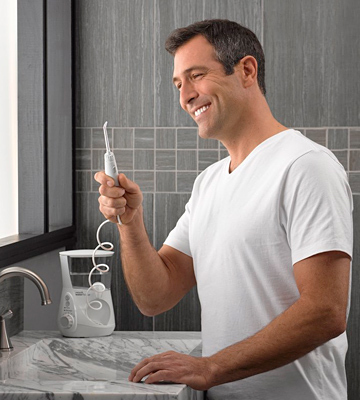 The benefits of premium countertop and combination water flossers are indisputable since they deliver functional versatility and ensure long flossing time meeting a 60-second flossing session recommended by dentists. 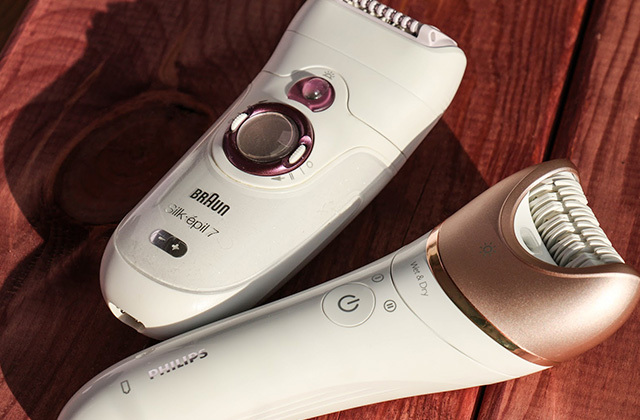 However, the main drawback of such models is their corded stationary design that won’t let you easily take your oral care assistant with you to the trip. Besides, though most of them are claimed to be compact, stationary units can often appear quite bulky for small bathrooms with confined storage space, tiny sinks and are not suitable for bathrooms with no outlets in close proximity to sinks. Hence, sometimes a cordless design and portability become the main selling points. Yet, it does not mean you need to compromise the functionality and high performance. The market offers a whole range of models so that it shouldn't be that difficult to find a quality flosser that will combine the power and features you need. One of such flossers is the WP-560 which packs the power and efficiency of a stationary device and portability of a cordless flosser. Let's have a closer look at this flosser. The WP-560 is distinguished by an ergonomic design with convenient fingertip controls. Besides, the unit is 100% waterproof allowing you to use it in the shower. It’s worth saying that this option is not available for corded models. A water reservoir can hold up to 200 ml of liquid providing up to 45 seconds of constant powerful flossing. 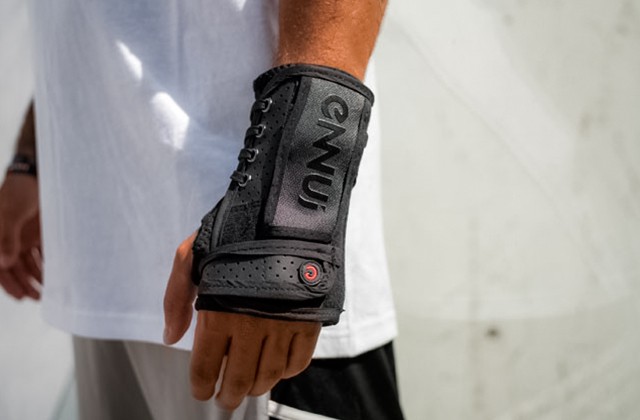 Three pressure options ranging from medium to high will let you choose the optimal intensity for your individual needs. To further personalize your flossing session, the set offers 4 accessory tips. 2 classic jet tips are designed for general use and make this model suitable for a couple. An orthodontic tip is perfect for cleaning around braces while a plaque seeker is great for implants, crowns, bridges, and retainers. For easy access to your entire mouth, all tips are 360-degree rotational ensuring easy and efficient cleaning in the most hard-to-reach areas. The WP-560 offers a powerful performance, functional versatility, and ease of use similar to those of more sophisticated premium models and will come in handy for customers who seek a truly compact cordless unit. The WP-560 flossing kit was definitely created with travel needs in mind. And it is not only because of its pretty small dimensions and cordless design. The set comes complete with everything required for flossing on-the-go, isn't heavy, and won't take up much of your luggage space. In the box, you'll find a compact tip storage case for the tips, a travel water plug to prevent water leaking, and a microfibre travel pouch to conveniently pack the whole kit for transportation. All dentists insist on making regular visits to hygienists a habit since professional oral hygiene will help you to prevent and avoid a number of unpleasant conditions such as bleeding gums, moving teeth, sensitive teeth, hard-to-remove plaque, dental scale, and bad breath. Professional oral hygiene procedures usually involve ultrasonic and hand descaling, pigmented plaque removal, teeth polishing with special pastes and covering with fluoride varnishes, and teeth whitening. For the plaque removal, hygienists use professional air flow and water flossers to quickly and painlessly eliminate the traces of tobacco, coffee, and red wine. Of course, you will hardly be able to do the same at home, however, oral hygiene specialists recommend completing your domestic dental care with flossing to properly maintain your oral health in between the visits to the dentist. If you want to get flossing results close to those of professional procedures, it’s better to go for one of the complete care water flossers. Yet, such models often appear pretty expensive and are not affordable for anyone. This is where a compromise solution from Waterpik will come to help. The WP-120 is a reasonably priced dental care system that will let you maintain professional-grade oral hygiene at home. 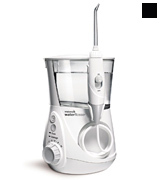 The WP-120 is a countertop electric water flosser tested and approved by the American Dentist Association. 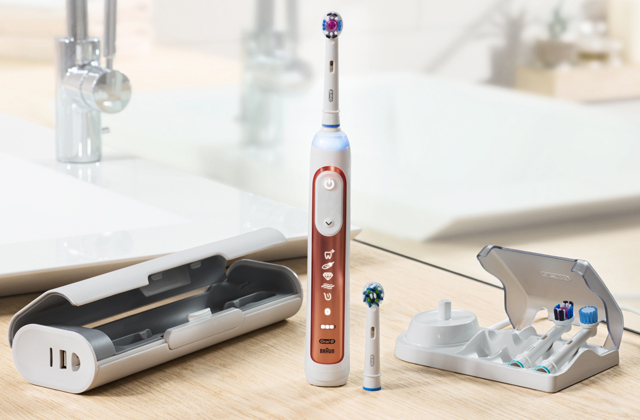 The model comes equipped with a 650-ml water tank providing 90 seconds of continuous flossing that is more than enough for a daily flossing session to maintain a cleaner, fresher, and healthier mouth. 10 variable pressure settings easily adjusted by a dial knob will let you customize the water pressure intensity to your liking while a variety of 360-degree rotational flossing nozzles will cater to all dental needs. Along with a classic jet tip, orthodontic tip, Pik-pocket nozzle, and a plaque seeker normally contained in all premium sets, the WP-120 also includes a toothbrush tip and a tongue cleaner for a truly complete oral care. All tips can be conveniently and compactly stored in the covered tip storage that doubles as a water tank lid. 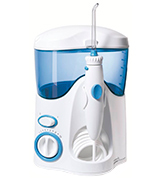 At the fraction of the cost of premium innovative models, the Waterpik Ultra water flosser offers the same cleaning technology and a variety of cleaning options, delivering excellent flossing performance and allowing you to achieve professional cleaning results without leaving the comforts of your own home. Even if you brush your teeth two times a day and remember to floss once per day, you can’t be confident that your mouth is all clean. You would ask why. Do you brush your tongue on a regular basis? If not, then your oral hygiene is definitely not complete. While most of us regularly brush their teeth, only a few people are aware of the importance of tongue cleaning. A human tongue hosts the majority of bacteria in the mouth that can quickly transfer to your teeth. Hence, brushing the tongue should become a part of a dental care routine for anyone diligent about oral hygiene. In a modern world of technology and innovations, we often seek multifunctional solutions that could help us top tackle different tasks and make our life easier. Same is true when it comes to such basic things as a toothbrush or a flosser. It's always nice to have a product that's able to perform several functions beyond the one it's intended for. When it comes to oral hygiene, it's recommended that each family member uses his/her own toothbrush although many electric toothbrushes are now supplied with interchangeable tips and the use of one brush by the whole family is becoming more common. With regards to flossers, the story is quite different. Not only is it simply unnecessary to buy a personal water flosser for each family member, but you'll also very unlikely to find the place for 3 or 4 flossers on a shelf in your bathroom. Not that you will need to. 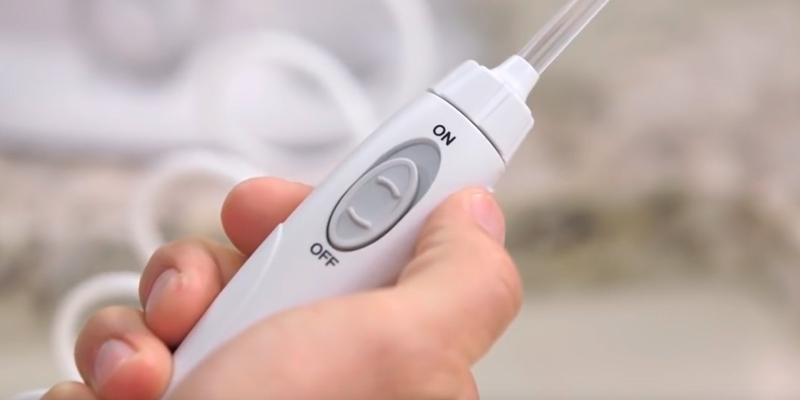 Similar to toothbrushes, most Waterpik flossers come with interchangeable tips which makes them suitable both for individual and for family use. The Aquarius WP-660 is that kind of flosser. 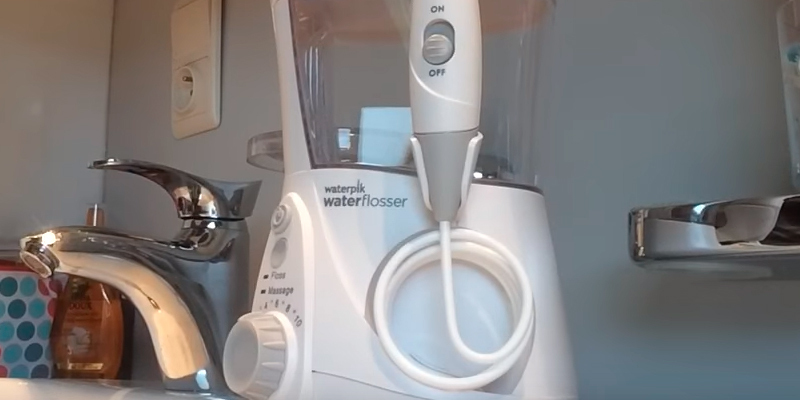 The Aquarius WP-660 is a countertop corded water flosser which comes complete with a set of 7 clinically proven flossing nozzles including 3 colour-coded general use tips that can be used by several family members without confusion. 4 remaining tips are specialised nozzles for different dental conditions. Thus, a plaque seeker with 3 tufts of bristles will be of great use for adults with dental implants, crowns, veneers, and bridges. An orthodontic tip with a tapered brush will help you remove plaque from braces and flush out bacteria from under the gums. A Pik-pocket tip provides deep periodontal pockets cleaning. There is even a toothbrush tip that will let you manually brush your teeth as you floss. If you need additional or replacement tips for other family members you can order them from the manufacturer at a really affordable price. Along with functional tips, the unit is distinguished by 10 water pressure settings to select a more delicate flossing mode for kids or choose an optimal intensity for adults. Fitted with a 650-ml water reservoir, the Aquarius will ensure over 90 seconds of continuous flossing. Meanwhile, a timer option will let you set the flossing time to 1 minute for an adult or 30 seconds for a small kid. Being by far the most popular and best-selling oral irrigator on the market, the Waterpik WP-660 offers a complete dental care system for all family members to maintain a healthy shining smile. In addition to all the above-mentioned benefits, there is one more option that sets the WP-660 apart from other models. 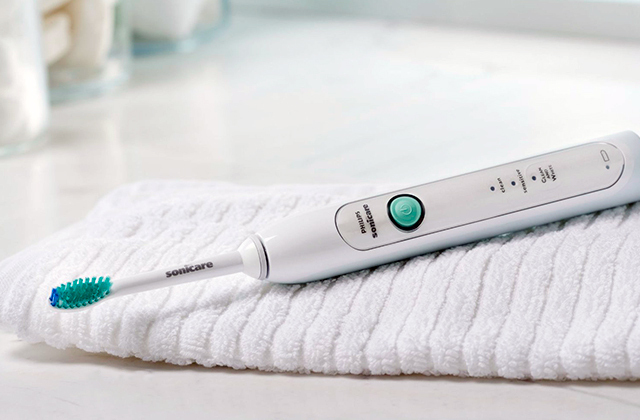 Unlike the majority of flossers featuring a single pulsation cleaning mode, the Aquarius will let you choose between 2 cleaning modes. You can go for a Floss mode to achieve maximum efficient plaque removal or select a Massage mode to promote gum stimulation and improve water circulation. The range of Waterpik products offers a whole variety of models to fit any budget and meet any needs. While some people look for comprehensive solutions packed with technologies and options, others prefer less sophisticated devices with basic functions. If you belong to the latter and seek a simple yet functional device to make your oral hygiene complete, you will definitely like the Waterpik WP-450 water flosser. The first thing you will like about this model is a cordless design contributing to the overall portability of the unit. A rechargeable battery will save you the need to buy disposable batteries and a full battery charge will ensure up to 1 week of regular daily use before the appliance will need a recharge. However, if you use your dental flosser more than once per day, you will have to charge the battery more often. Along with a cordless operation, the WP-450 is distinguished by an ergonomically shaped waterproof body and convenient controls. A curved back panel with a ribbed rubber insert provides a comfortable and secure non-slip grip that will be of great use when using the flosser in the shower. Two control switches are located within easy reach for no-hassle single-hand operation. A built-in water reservoir features a capacity of 210 ml providing for around 45 seconds of flossing time. When it comes to the unit functionality, the WP-450 offers all basic functions and even more. 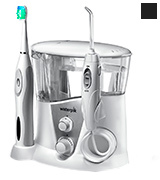 The oral irrigator package is complete with 4 interchangeable tips. Together with a general use tip for your daily dental care, you will obtain 2 specialized tips for quick and efficient dental work cleaning and even a tongue cleaner to maintain a fresh breath. Unlike more sophisticated models, this flosser features only 2 pressure settings, high and low. Yet, it will perfectly fit your needs. Choose a high setting for deep interdental cavities and periodontal pockets cleaning and select a low setting for a gentle gum massage and stimulation. 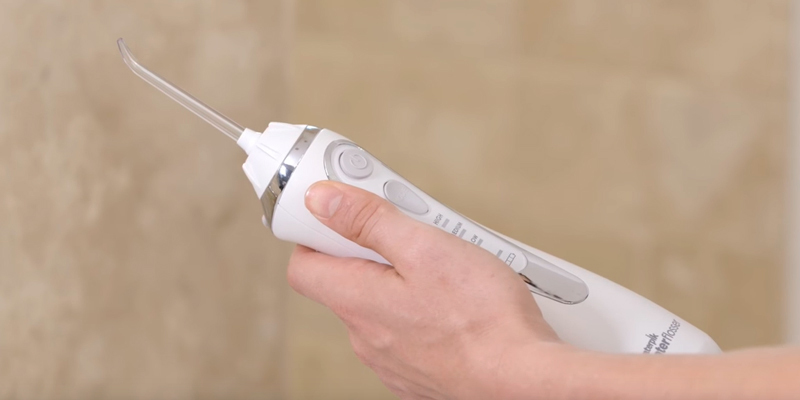 If you have a small bathroom with a confined storage area or travel a lot and need a portable solution to stick to your oral care regimen while you are away from home, the Waterpik WP-450 is the right model to go for. The history of the Water Pik In., originally known as Aqua Tec Corp. goes back to 1962 when the company was founded in Colorado by an engineer and a dentist who collaborated to create an oral irrigator for the use in dentistry. Their efforts were crowned with success only in 1967 when they finally created the first Waterpik oral irrigator that used the same operation principle we find in modern models. Since then, the company started its quick growth and development. Always searching for advanced technologies, they’ve made a lot of inventions and successfully applied them to Waterpik products. Thus, they created the first cordless water flosser in 2004 and launched the Waterpik Sensonic Toothbrush in 2007. 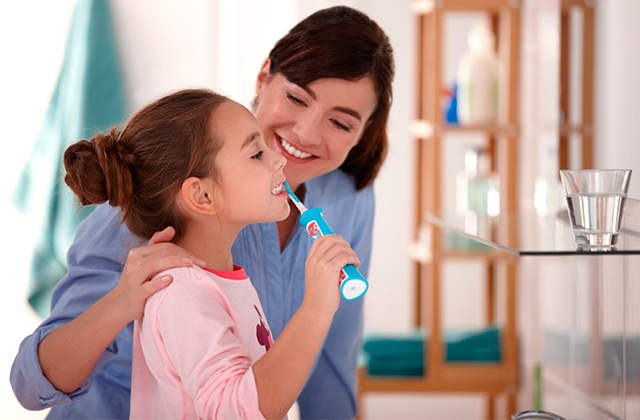 Today, Waterpik is a real leader in the oral health care market. The company holds numerous patents for their inventions and Waterpik products are recognized all over the world. Waterpik Cordless Advanced (WP-560): 2.8 in. Waterpik Aquarius (WP-660): 4.7 in. Waterpik Cordless Plus (WP-450): 2.74 in. 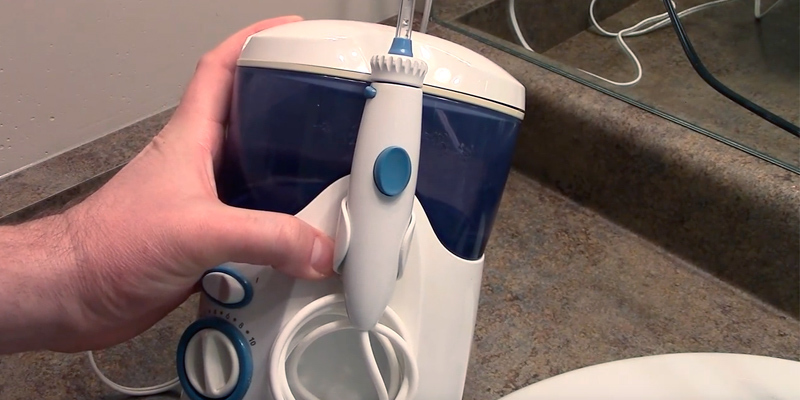 What Is the Best Waterpik Water Flosser? Flossing is an integral part of a daily dental care routine. Water flossing is an excellent alternative to a string floss that doesn't take as much time and is also more efficient. A pressurized water jet created by the flosser can slip deep between the teeth and along the gum line to remove food debris and plaque that is hard to pick with a toothbrush. Waterpik is a true leader in this industry. Holding numerous patents for advanced innovations, the company produces a range of award-winning oral health care products for professional and domestic use, including water flossers or oral irrigators. The range of Waterpik products comprises the whole variety of models packed with functions and useful options. Choose the model that meets your requirements better and take the strain out of the effort of flossing your teeth with a floss string. In this review, you will find water flossers for a single and multiple users, as well as those that are specially designed for people who wear braces. Anyway, you shouldn't forget that flossing isn't a substitute for brushing. Therefore, we strongly recommend you to consider buying a good electric toothbrush as well. 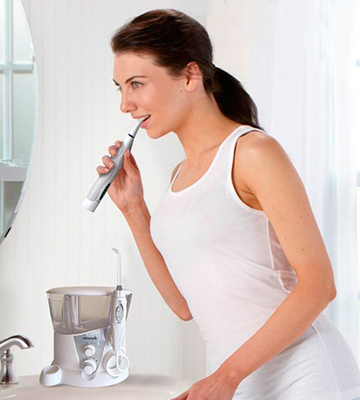 Firstly, you need to decide how you are going to use your oral irrigator. There are two Types of irrigators to choose from: stationary and portable. For home use, it's better to buy a stationary corded model fitted with a capacious water tank. This type requires a power socket near the sink and some place on the countertop to place the unit. If you travel a lot, look for portable irrigators. These models are suitable for the use in bathrooms where there is no outlet. Despite their shorter lifespan and smaller capacity, they still can be a great choice. In the Waterpik range of products, you will find both countertop corded models and cordless electric flossers. The next aspect is a Cleaning Technology which is determined by the water jet type and intensity characteristics. The irrigators that work by means of the constant water flow supply are known to be effective yet a bit outdated. They are often replaced with devices that perform pulsating cleaning. Pulsation of the water jet is usually short, almost imperceptible, but effective when it comes to cleaning plaque. The other technology used in oral irrigators is the micro-droplet technology. Thanks to this technology, the water in the tank is saturated with the oxygen, and the water flow directed in the oral cavity is more effective at killing pathogenic micro flora. When it comes to Waterpik flossers, all of them apply a pressurized water jet with pulsation technology. Design peculiarities include cleaning speed modes, a water tank capacity, the number and type of tips. The ability to control the water jet pressure is implemented in all irrigators and is very important. The presence of interchangeable tips will be a huge advantage. Some models are equipped only with a standard tip, others have a variety of additional nozzles. 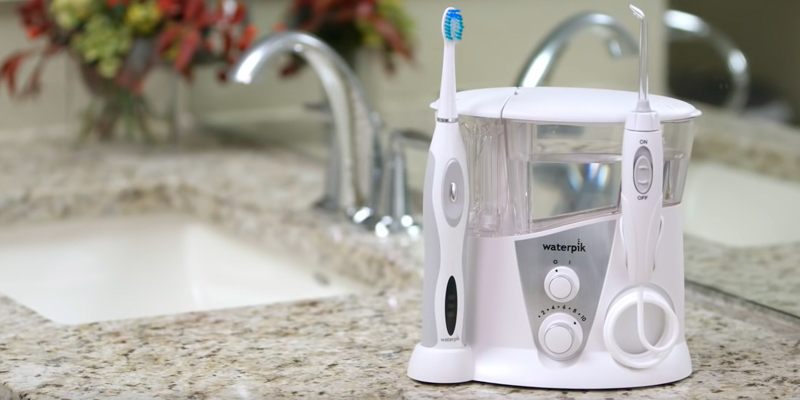 All Waterpik water flossers come packed with a variable number of water pressure settings and a number of branded clinically proven flossing tips. The capacity of liquid tanks is different in various types of irrigators. Portable irrigators have a smaller volume. Also, there are water flossers without a tank, they are connected directly to a faucet and come into action by the pressure of tap water. Many irrigators come fitted with Usability features such as rotating tips, a timer, water pressure intensity adjustment, tips storage, tip travel case, and a carry bag. Good oral health is extremely important for your overall wellbeing since healthy teeth and gums will enable you to look good and feel confident at the same time giving you an opportunity to eat and speak properly. Hence, appropriate oral hygiene is a must both for kids and for adults. Eventually, it will not only result in a healthy smile and fresh breath but also will help you prevent and avoid a number of dental problems causing pain and inconveniences. Regularly visiting your dentist for preventive checkups and cleanings. If you wear dental work or need to use the appliance for any kind of specific dental treatment, choose an appropriate flossing tip and strictly follow detailed instructions on use. Q: Do I really need a water flosser? A: Well, it goes without saying that flossing is essential for a healthy mouth and should complement your tooth brushing routine on a daily basis. As for a water flosser, it’s up to you to decide whether you need this appliance or can do with an ordinary string floss. However, once you try a water flosser, you’ll unlikely come back to the string. This handy device offers times more an efficient and hassle-free way to remove dental plaque and clean the areas in-between the teeth and along the gumline that is proven by numerous clinical researches. Q: When should I use a water flosser? A: While brushing teeth is recommended twice a day, in the morning and before going to bed, when it comes to flossing, most specialists agree that one time per day will be enough for a routine preventive dental care. And it’s better to use a water flosser before toothbrushing to remove food debris and enhance the effectiveness of a toothpaste. Q: What water pressure setting should I use? A: All models of Waterpik water flossers, be it innovative flossing systems for complete oral care or more simple portable units, come fitted with several water jet pressure settings ranging from low, medium, and high up to 10 variable settings. Though all of them are clinically proven to be safe even for sensitive gums, first-time users are recommended to start with the lowest settings to get the hang of flossing technique and then gradually increase the pressure to a comfortable level. Q: Are Waterpik flossing tips suitable for all oral irrigator models? A: Waterpik offer a full range or replacement flossing tips for its oral irrigators Yet, it’s worth saying that not all of them are compatible with all water flosser models. If you need an extra or a replacement tip, it’s better to follow a Waterpik flossing tip selector available on a manufacturer website to choose the right attachment for your model. Q: How often should I change my Waterpik oral irrigator tips? A: It depends on the tip type. Thus, a classic jet tip and a tongue cleaner can be replaced every 6 months while tips with bristles need to be changed every 3 months since bristles are prone to splaying making the flossing process less effective. 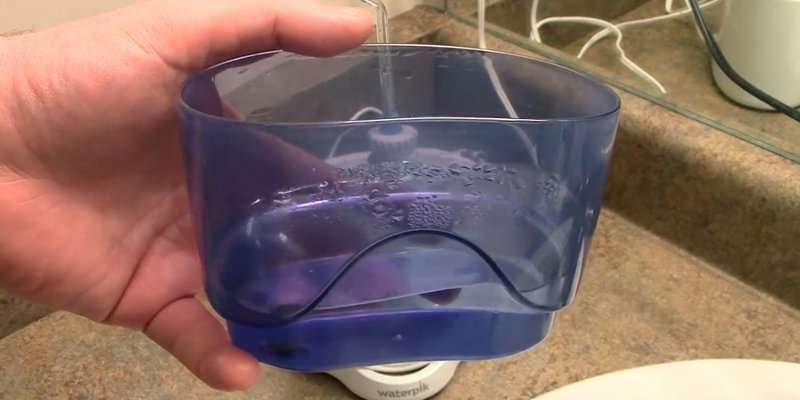 Q: Why is pulsation so important for efficient water flossing? 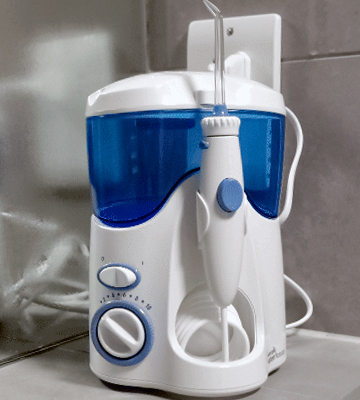 A: Being first applied for oral irrigators by Waterpik, pulsation is actually the key to efficient flossing since a pulsating jet can reach several times deeper than a non-pulsating one by creating a kind of compression and decompression phase to clear all bacteria and debris out from the pocket. Q: How deep does the water jet penetrate into the gum pocket? A: Depending on a pressure setting, the Waterpik water flosser jet can, on average, go as deep as 6 mm which is times deeper than a string floss can reach. Q: What types of mouthwashes can I use with a Waterpik oral irrigator? A: Though even water alone is enough for efficient flossing, you are free to use some dental cleaning agents with Waterpik oral irrigators. 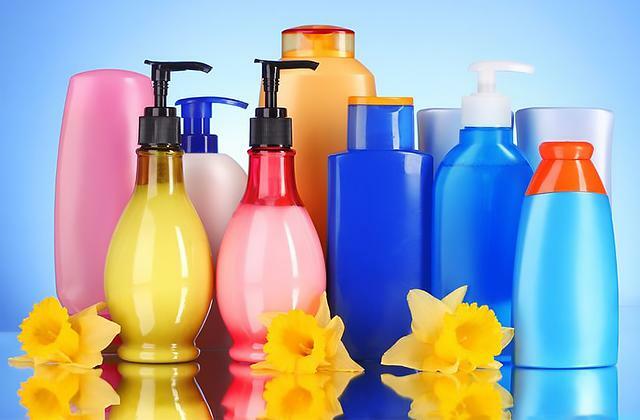 You can add chlorhexidine or some mouthwashes like Listerine containing essential oils. Yet, refrain from using pure essential oils or whitening dilutions that could destroy the device. Q: Can I use a water flosser in the shower? 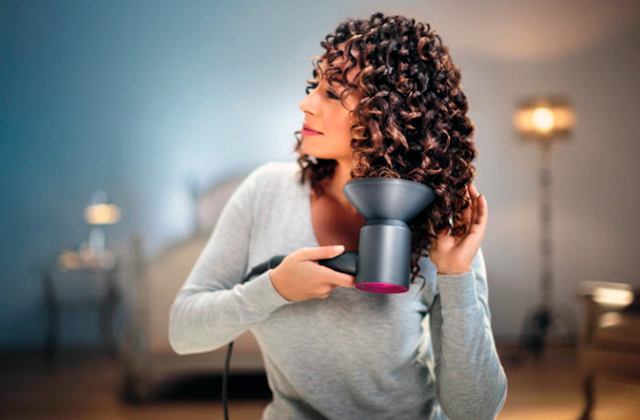 A: Normally, stationary models are not suitable for the use in the shower while cordless models are in most cases waterproof and can be used under running water. However, you should always check this information in the instruction manual before using the appliance while taking a shower. 1. Oral irrigator, Wikipedia. December 28, 2017. 2. Corey Whelan Waterpik vs. Flossing: Pros and Cons, Healthline. November 14, 2016. 3. Nicole Galan Waterpik vs. flossing: What is best? MedicalNewsToday. February 24, 2017. 4. Basic Dental Care, WebMD. 5. Barbara Sorensen Waterpik Vs. Electric Toothbrush, LIVESTRONG.COM. August 14, 2017. 6. 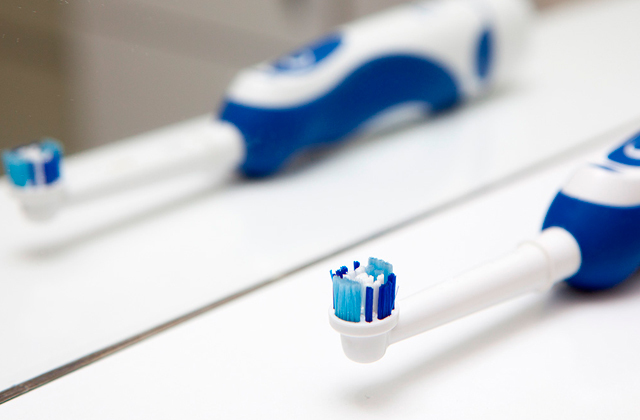 Will Apse Which is Best: A Sonic Toothbrush or Water Flosser? Dengarden. November 7, 2016. 7. Steve Auger How Does Water Flossing Compare To Traditional Flossing? Colgate. 8. Claire McCormack Why Everyone Should Consider Tongue Scraping, HuffPost. July 28, 2016. 9. 5 Steps to a Flawless Floss, MouthHealthy.